En mettant l'emphase sur les combattants européens, du Moyen-Orient et de l'Asie, UFC Connected offre aux fans une perspective unique sur l'UFC avec un accès exclusive aux combattants, leur équipe et aux événements partout autour du monde. Dans cet 3ème épisode UFC 195 Embedded, Robbie Lawler et Carlos Condit ont boulé leurs bagages et se sont rendus à l'aéroport en prévision de leur combat de championnat. Joe Duffy et Dustin Poirier arrivent dans la ville du vice pour leur duel. 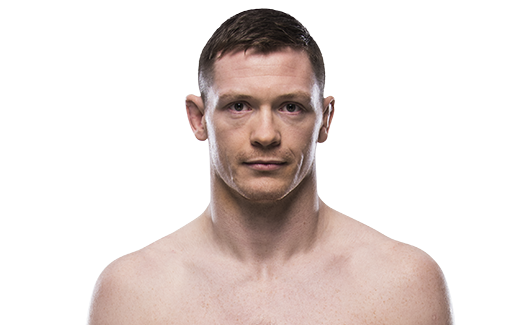 Joseph Duffy’s UFC career hasn’t been a long one, but he’s proving very quickly that there’s more to like about Irish fighters than Conor McGregor. 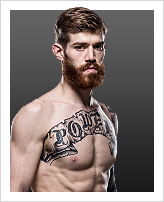 In two lightweight bouts since joining the UFC in 2015, “Irish Joe” has two first-round finishes – a knockout of Jake Lindsey at UFC 185 in his debut and a triangle choke of Ivan Jorge at UFC Fight Night Glasgow. Those wins improved Duffy’s MMA record to 14-1. 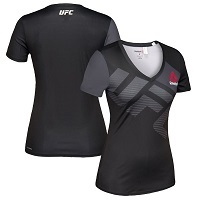 But there’s more to consider: he has nine submission victories, four KOs and, incredibly, 12 first-round finishes. 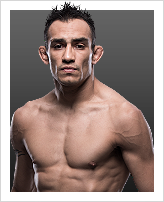 He’s also the last man to beat McGregor, the current UFC interim featherweight champ, scoring a submission win in Nov. 2010. 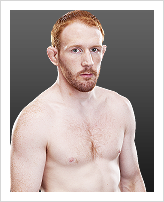 Duffy, from Donegal, Ireland, began his professional career with 10 consecutive wins before sustaining his first loss, a fourth-round submission via guillotine choke to Ivan Musardo. He then inexplicably stopped competing in MMA. Duffy turned to boxing, compiling a 7-0 record before injuries slowed his career and caused him to rethink his MMA career. 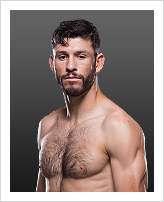 Duffy, 27, holds black belts in Japanese Jiu-Jitsu and taekwondo and a blue belt in Brazilian Jiu-Jitsu. His striking is a major weapon, but his submission work has been spectacular. Against Jorge at UFC Fight Night Glasgow, for example, Duffy reversed an apparent takedown and turned it into a triangle choke. At the pace Duffy is going, there’s much more of that to come. TRAINING: A typical day of training consists of an early session and then training in the evening, working all aspects of MMA and at the minute a bit more specific to Reza's strengths and weaknesses. When and why did you start training for fighting? I started in 1993. As a kid I was always interested in martial arts, so it all just stemmed from there. What ranks and titles have you held? Black belt in Japanese Jiu-Jitsu, blue belt in BJJ, black belt in Taekwondo. What does it mean for you to fight in the UFC? I've worked towards this since I was a teenager. It's a massive honor.